Motorcycle Alarm with 2-Way Pager and Compact Siren. Your motorcycle is a very important investment. Make sure it is protected with a 2-way motorcycle alarm pager. On board shock sensor warns you of people near your bike for total peace of mind. Protect yourself and your wallet with a 2-Way Motorcycle alarm with compact siren. 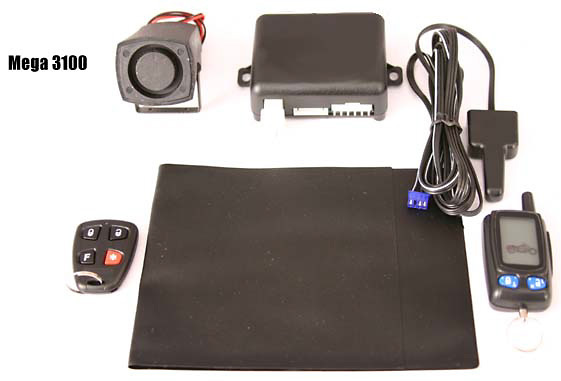 When purchasing the Motorcycle Alarm with 2-Way LCD Pager and Compact Siren, consider the other items listed below. You can add all desired items from below at one time by clicking the Suggested Items Add Page link.